With the underneath framework completed, it was time to move on to the façade. New Subway tiles were placed on the walls of the shower and above the tub. 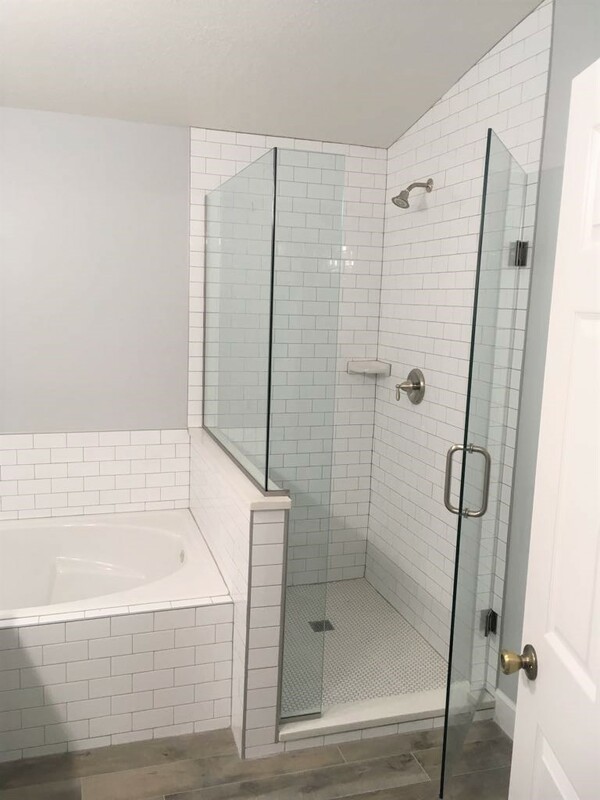 The shower was enclosed in 3/8" tempered shower glass. Penny tiles graced the shower floor. And a trendy wood-look tile replaced the main bathroom floor. Wood cabinets and quartz countertop complimented the bath side at the sink. The overall look came together beautifully!